This fantastic 1960s dress is so Mad Men! 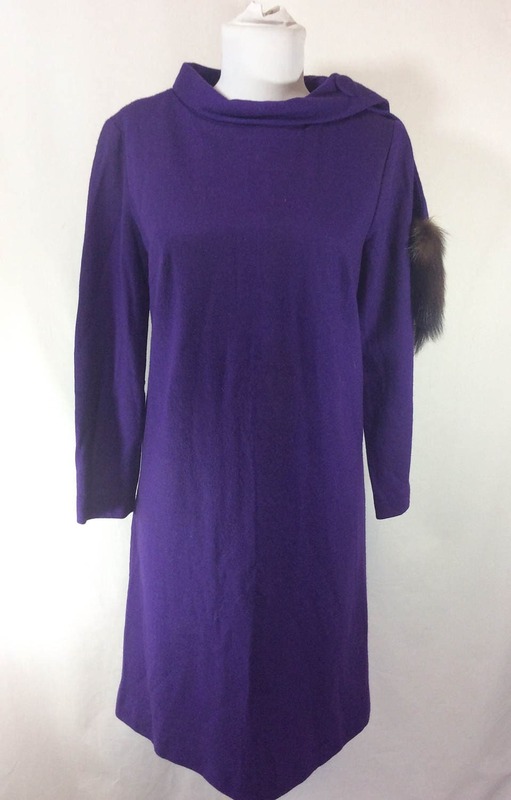 The dress is made of a lightweight purple wool. There is a small amount of stretch in the fabric. This dress would best fit sizes 8-10, but please see measurements below to guarantee fit. 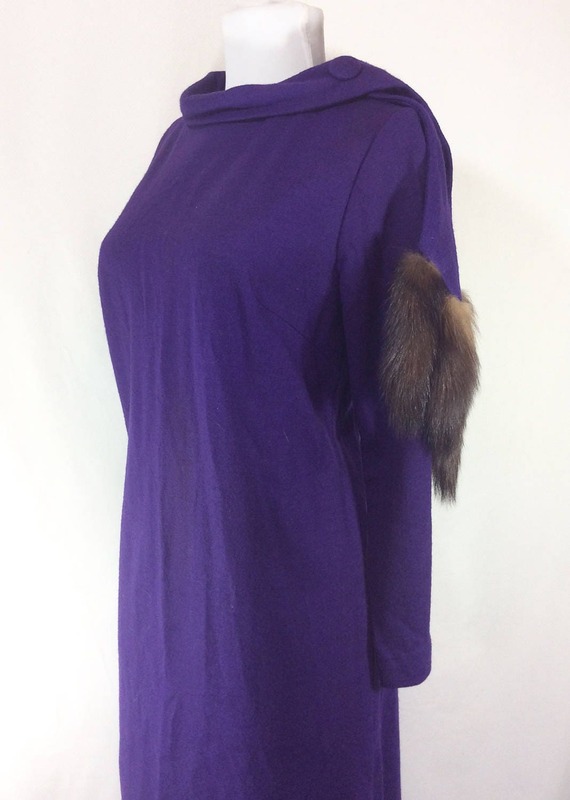 This dress has a scarf that drapes over the left shoulder with real mink fur on the end. The cowl neckline has a nice big fabric covered button that keeps the scarf in place. There are darts at the bust for a nice fitted shape through the bodice. The dress closes up the back with a 21.5 inch metal zipper with hook and eye. 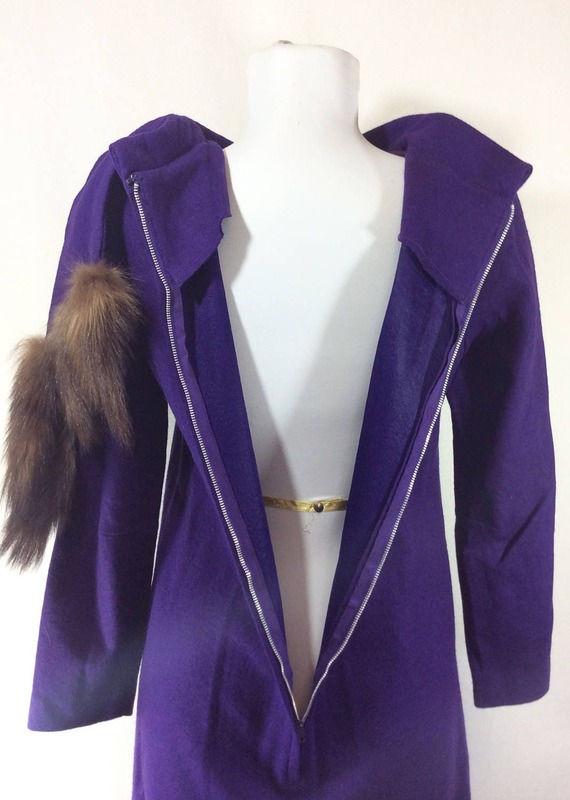 This item is in excellent vintage condition and would look fantastic with your favorite pumps! 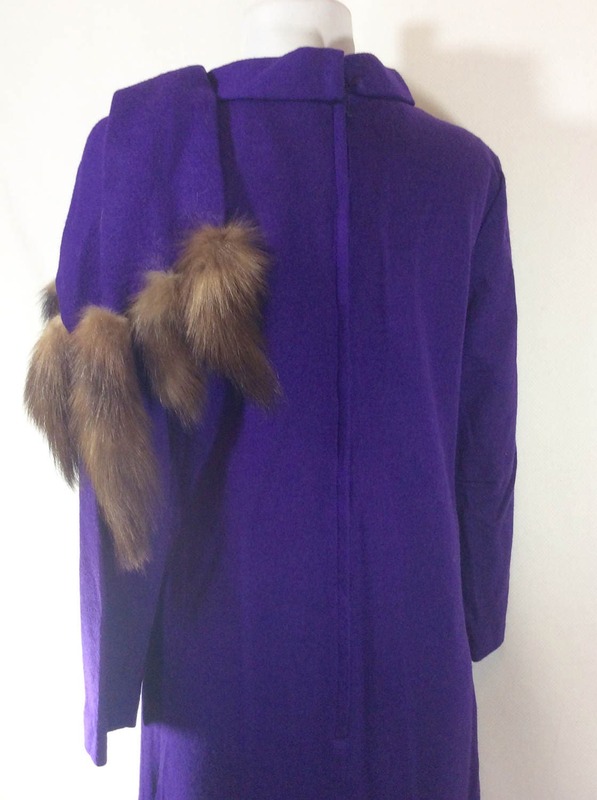 Sleeve length- 21 inches long.